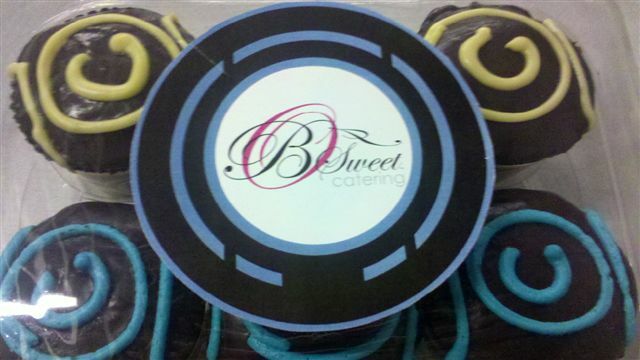 Today, I had a surprise office visit from B Sweet Catering's owner Barbara Batiste, who delivered some of their beautiful cupcakes to me and my coworkers. 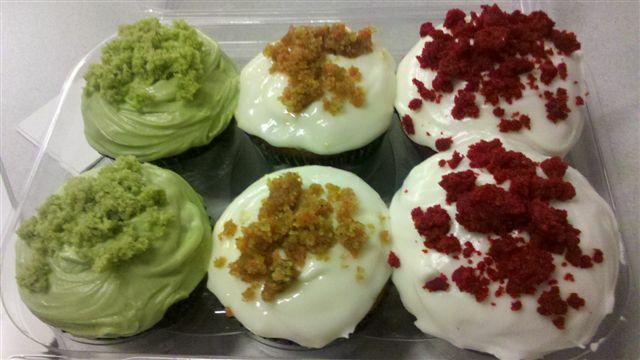 The selection included a green tea cupcake, a red velvet and a Vegan carrot cake cupcake. Vegan cupcakes are either hit or miss, but I was surprised to find that this one ended up being my favorite of the bunch as it was really moist with a nice fresh citrus taste to it. 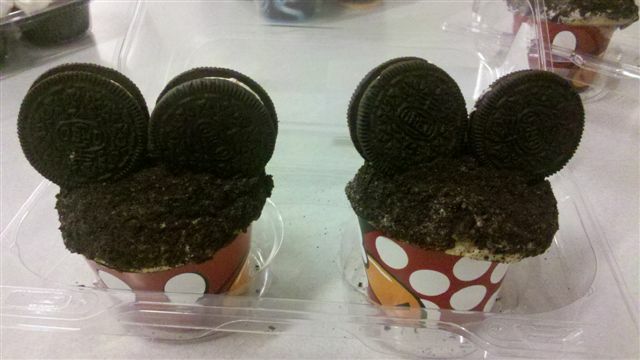 They also Disneyfied some of their creations, making special Mickey Oreo cupcakes and TRON ganache cupcakes, which have been spotted over at Cupcakes Take the Cake. The ganache provided a gooey, rich chocolate overdose and the Oreo cupcakes tasted just like the cookie, but in cupcake form. 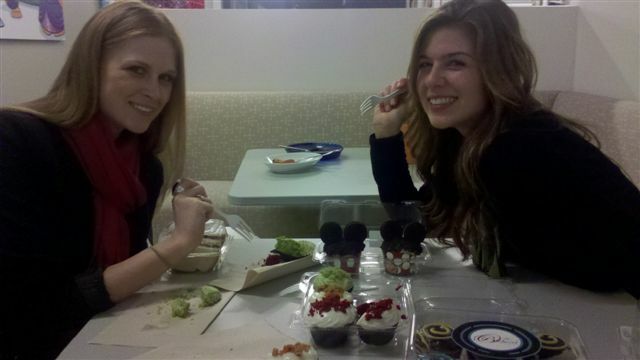 These two were both my runnerups after the Vegan cupcake. Also, look at how they put my blog header on the label, love it! 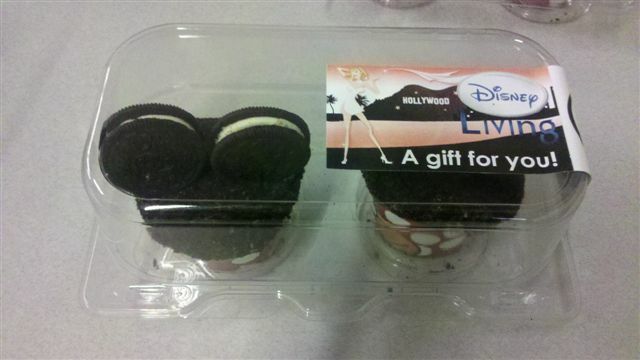 They are definitely good at incorporating graphics on to their cupcake liners/wrappers and on their boxes for some extra flair. Wow those look amazing! What a nice belated birthday surprise. I don't think I have ever had a vegan cupcake. not to sound like a pun...but how sweet! 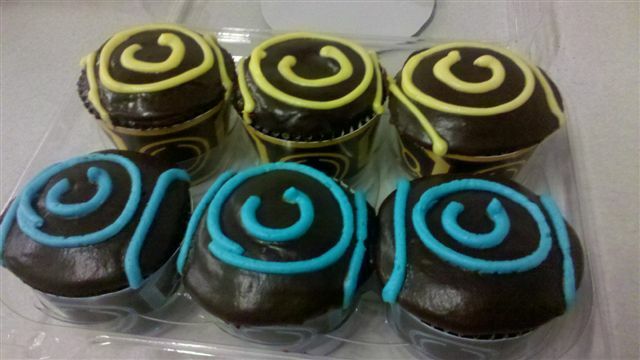 Cupcakes are good any time!